In mid-August, Mayor Bill de Blasio doubled down on plans he originally announced last February to build a new jail on the site of an NYPD tow pound in Mott Haven. De Blasio says the city will shut down the decrepit jail facility on Rikers Island in the near future and replace it with four smaller, more humane jails in all of the boroughs except Staten Island. 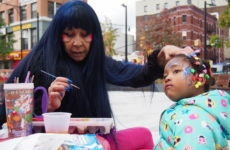 But the city’s stated intention to go ahead with its original plan in Mott Haven comes despite impassioned outcry from community members and some elected officials, who contend that the proposed site at E. 141st Street between Concord Avenue and the Bruckner Expressway is better suited for much-needed affordable housing and small scale commerce. 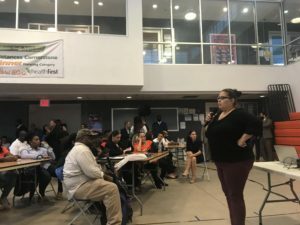 At a Sept. 18 public forum at Betances Houses in Mott Haven, residents were invited to speak out about the plan. Listen to our audio summary of the forum.